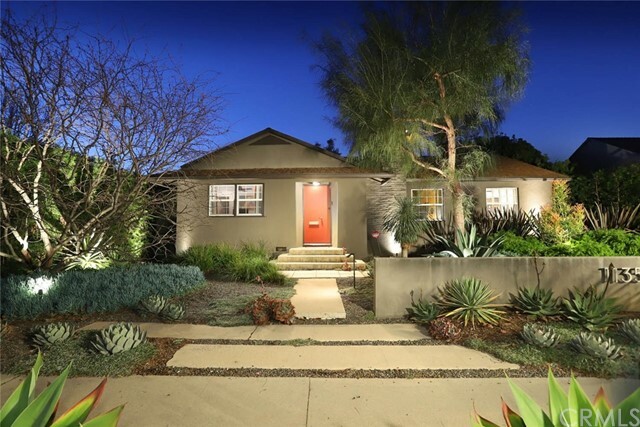 All Mar Vista homes currently listed for sale in Mar Vista as of 04/18/2019 are shown below. You can change the search criteria at any time by pressing the 'Change Search' button below. If you have any questions or you would like more information about any Mar Vista homes for sale or other Mar Vista real estate, please contact us and one of our knowledgeable Mar Vista REALTORS® would be pleased to assist you. "Highly desirable PRIME West LA location in the ultra-exclusive sought after Westdale/ Trusdale neighborhood. This Mid-Century single level home is a modern expression of West Los Angeles lifestyle.. Once you walk in you can't help notice how open and inviting the floorplan is. Great room opens to a large drought tolerant landscaped backyard. Spend your summer nights enjoying and entertaining outdoors looking at the designer landscape which provides multiple outdoor seating areas, large gas fire pit and a unique soothing water feature in both backyard and front yard. The lighting is magnificent!! Three good size bedrooms with recessed lighting and 2 baths. Newer central forced air heating & A/C. Security system with full camera system. Super close to the new upcoming Google Campus.. Freeway friendly and close to shopping... This is a beauty!"